elow are two articles covering the fact that, since the Act of 1871 which established the District of Columbia, we have been living under the UNITED STATES CORPORATION which is owned by certain international bankers and aristocracy of Europe and Britain. In 1871 the Congress changed the name of the original Constitution by changing ONE WORD -- and that was very significant as you will read. Some people do not understand that ONE WORD or TWO WORDS difference in any "legal" document DO make the critical difference. But, Congress has known, and does know, this. I'm told this corporation, established in 1871, will be cancelled by NESARA and NESARA will also restore the ORIGINAL Constitution which assists in restoring our Constitutional Rights and the Bill of Rights and our rights as described in the Declaration of Independence. With no constitutional authority to do so, Congress creates a separate form of government for the District of Columbia, a ten mile square parcel of land (see, Acts of the Forty-first Congress," Section 34, Session III, chapters 61 and 62). The act -- passed when the country was weakened and financially depleted in the aftermath of the Civil War -- was a strategic move by foreign interests (international bankers) who were intent upon gaining a stranglehold on the coffers and neck of America. The Act of 1871 formed a corporation called THE UNITED STATES. The corporation, OWNED by foreign interests, moved in and shoved the original Constitution into a dustbin. With the Act of 1871, the organic Constitution was defaced -- in effect vandalized and sabotage -- when the title was capitalized and the word "for" was changed to "of" in the title. * Info from yet unpublished book, "Pentimento: Freedom Revisited." As you will see when reading, just as much of my knowledge of the Trading with the Enemy Act came from Gene Schroder, et al. this, too, came from elsewhere -- from Lisa Guilian of Babel Magazine, whom I first "met" by way of an article by Patrick Bellringer. So, we cooperate as we study and learn the truth. C. E.
THE CONSTITUTION OF THE UNITED STATES OF AMERICA is the constitution of the incorporated UNITED STATES OF AMERICA. It operates in an economic capacity and has been used to fool the People into thinking it governs the Republic. It does is not! Capitalization is NOT insignificant when one is referring to a legal document. This seemingly "minor" alteration has had a major impact on every subsequent generation of Americans. What Congress did by passing the Act of 1871 was create an entirely new document, a constitution for the government of the District of Columbia, an INCORPORATED government. This newly altered Constitution was not intended to benefit the Republic. It benefits only the corporation of the UNITED STATES OF AMERICA and operates entirely outside the original (organic) Constitution. Instead of having absolute and unalienable rights guaranteed under the organic Constitution, we the people now have "relative" rights or privileges. One example is the Sovereign's right to travel, which has now been transformed (under corporate government policy) into a "privilege" that requires citizens to be licensed. By passing the Act of 1871, Congress committed TREASON against the People who were Sovereign under the grants and decrees of the Declaration of Independence and the organic Constitution. The UNITED STATES Isn't a Country - It's a Corporation! "It was also a strategic maneuver by British and European interests (international bankers) intent on gaining a stranglehold on the coffers of America. And, because Congress knew our country was in dire financial straits, certain members of Congress cut a deal with the international bankers (in those days, the Rothschilds of London were dipping their fingers into everyone's pie). . . . . There you have the WHY, why members of Congress permitted the international bankers to gain further control of America. . . . . .
"Then, by passing the Act of 1871, Congress formed a corporation known as THE UNITED STATES. This corporation, owned by foreign interests, shoved the organic version of the Constitution aside by changing the word 'for' to 'of' in the title. Let me explain: the original Constitution drafted by the Founding Fathers read: 'The Constitution for the united states of America.' [note that neither the words 'united' nor 'states' began with capital letters] But the CONSTITUTION OF THE UNITED STATES OF AMERICA' is a corporate constitution, which is absolutely NOT the same document you think it is. First of all, it ended all our rights of sovereignty [sui juris]. So you now have the HOW, how the international bankers got their hands on THE UNITED STATES OF AMERICA." "Chief or highest, supreme power, superior in position to all others; independent of and unlimited by others; possessing or entitled to; original and independent authority or jurisdiction." "It doesn't take a rocket scientist or a constitutional historian to figure out that the U.S. Government has NOT been subject to the consent of the governed since long before you or I were born. Rather, the governed are subject to the whim and greed of the corporation, which has stretched its tentacles beyond the ten-mile-square parcel of land known as the District of Columbia. In fact, it has invaded every state of the Republic. 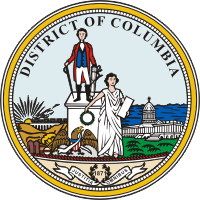 Mind you, the corporation has NO jurisdiction beyond the District of Columbia. You just think it does. "You see, you are 'presumed' to know the law, which is very weird since We the People are taught NOTHING about the law in school. We memorize obscure facts and phrases here and there, like the Preamble, which says, 'We the People. establish this Constitution for the United States of America.' But our teachers only gloss over the Bill of Rights. Our schools (controlled by the corporate government) don't delve into the Constitution at depth. After all, the corporation was established to indoctrinate and 'dumb-down' the masses, not to teach anything of value or importance. "Certainly, no one mentioned that America was sold-out to foreign interests, that we were beneficiaries of the debt incurred by Congress, or that we were in debt to the international bankers. Yet, for generations, Americans have had the bulk of their earnings confiscated to pay a massive debt that they did not incur. There's an endless stream of things the People aren't told. And, now that you are being told, how do you feel about being made the recipient of a debt without your knowledge or consent? "After passage of the Act of 1871, Congress set a series of subtle and overt deceptions into motion, deceptions in the form of decisions that were meant to sell us down the river. "Our corporate form of governance is based on Roman Civil Law and Admiralty, or Maritime, Law, which is also known as the 'Divine Right of Kings' and the 'Law of the Seas' -- another fact of American history not taught in our schools. Actually, Roman Civil Law was fully established in the colonies before our nation began, and then became managed by private international law. In other words, the government -- the government created for the District of Columbia via the Act of 1871 -- operates solely under Private International Law, not Common Law, which was the foundation of our Constitutional Republic. "This fact has impacted all Americans in concrete ways. For instance, although Private International Law is technically only applicable within the District of Columbia, and NOT in the other states of the Union, the arms of the Corporation of the UNITED STATES are called 'departments' --i.e., the Justice Department, the Treasury Department. And those departments affect everyone, no matter where (in what state) they live. Guess what? Each department belongs to the corporation -- to the UNITED STATES. "Refer to any UNITED STATES CODE (USC). Note the capitalization; this is evidence of a corporation, not a Republic. For example, In Title 28 3002 (15) (A) (B) (C), it is unequivocally stated that the UNITED STATES is a corporation. Translation: the corporation is NOT a separate and distinct entity; it is not disconnected from the government; it IS the government -- your government. This is extremely important! I refer to it as the 'corporate EMPIRE of the UNITED STATES,' which operates under Roman Civil Law outside the original Constitution. How do you like being ruled by a corporation? You say you'll ask your Congressperson about this? HA!! "Congress is fully aware of this deception. So it's time that you, too, become aware of the deception. What this great deception means is that the members of Congress do NOT work for us, for you and me. They work for the Corporation, for the UNITED STATES. No wonder we can't get them to do anything on our behalf, or meet or demands, or answer our questions. "Technically, legally, or any other way you want to look at the matter, the corporate government of the UNITED STATES has no jurisdiction or authority in ANY State of the Union (the Republic) beyond the District of Columbia. Let that tidbit sink in, then ask yourself, could this deception have occurred without full knowledge and complicity of the Congress? Do you think it happened by accident? If you do, you're deceiving yourself. "There are no accidents, no coincidences. Face the facts and confront the truth. Remember, you are presumed to know the law. THEY know you don't know the law or, for that matter, your history. Why? Because no concerted effort was ever made to teach or otherwise inform you. As a Sovereign, you are entitled to full disclosure of all facts. As a slave, you are entitled to nothing other than what the corporation decides to 'give' you. "Remember also that 'Ignorance of the law is no excuse.' It's your responsibility and obligation to learn the law and know how it applies to you. No wonder the corporation counted on the fact that most people are too indifferent, unconcerned, distracted, or lazy to learn what they need to know to survive within the system. We have been conditioned to let the government do our thinking for us. Now's the time to turn that around if we intend to help save our Republic and ourselves -- before it's too late. "As an instrument of the international bankers, the UNITED STATES owns you from birth to death. It also holds ownership of all your assets, of your property, even of your children. Think long and hard about all the bills taxes, fines, and licenses you have paid for or purchased. Yes, they had you by the pockets. If you don't believe it, read the 14th Amendment. See how 'free' you really are. Ignorance of the facts led to your silence. Silence is construed as consent; consent to be beneficiaries of a debt you did not incur. As a Sovereign People we have been deceived for hundreds of years; we think we are free, but in truth we are servants of the corporation. "Do you think that any soldier who died in any of our many wars would have fought if he or she had known the truth? Do you think one person would have laid down his/her life for a corporation? How long will we remain silent? How long will we perpetuate the MYTH that we are free? When will we stand together as One Sovereign People? When will we take back what has been as stolen from the us? "Prior to 1913, most Americans owned clear, allodial title to property, free and clear of any liens or mortgages until the Federal Reserve Act (1913) "Hypothecated" all property within the federal United States to the Board of Governors of the Federal Reserve - in which the Trustees (stockholders) held legal title. The U.S. citizen (tenant, franchisee) was registered as a "beneficiary" of the trust via his/her birth certificate. In 1933, the federal United States hypothecated all of the present and future properties, assets and labor of their "subjects," the 14th Amendment U.S. citizen, to the Federal Reserve System. In return, the Federal Reserve System agreed to extend THE FEDERAL United States CORPORATION [emphasis added] all the credit "money substitute" it needed. Like any other debtor, the federal United States government had to assign collateral and security to their creditors as a condition of the loan. Since the federal United States didn't have any assets, they assigned the private property of their "economic slaves", the U.S. citizens as collateral against the unpayable federal debt. They also pledged the unincorporated federal territories, national parks forests, birth certificates, and nonprofit organizations, as collateral against the federal debt. All has already been transferred as payment to the international bankers. Unwittingly, America has returned to its pre-American Revolution, feudal roots whereby all land is held by a sovereign and the common people had no rights to hold allodial title to property. Once again, We the People are the tenants and sharecroppers renting our own property from a Sovereign in the guise of the Federal Reserve Bank. We the people have exchanged one master for another. ."